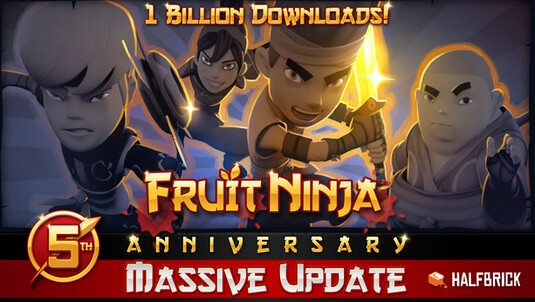 In its 5th Anniversary update, the biggest one yet, Fruit Ninja 2.3.2 is back in this Mega Mod with all Bonuses, Enabled fruits (fruit magnet, dragon fruits, blackhole plums, Gravity defying fruits, critical fruits, etc), blitz, and much more to uncover. This is the full paid version, enjoy! 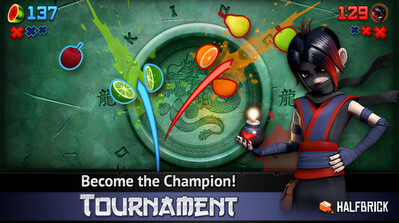 Fruit Ninja is five years old! Celebrate in style with our juiciest update yet! 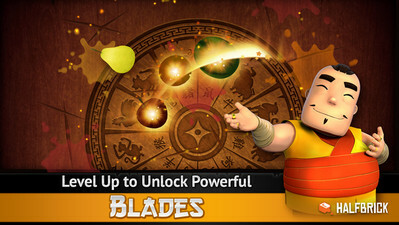 ANNIVERSARY TOURNAMENT – Defeat six iconic opponents to unlock a powerful new blade! 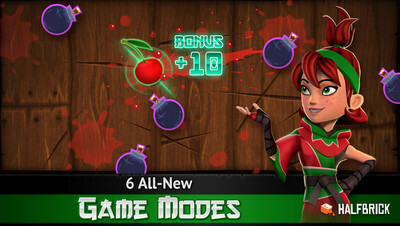 NEW MINI GAMES – Juggle fruit, manipulate bombs, and master new tricks in six unique mini games! GOLDEN EMBER BLADE – Trap your fruit in a fiery blaze and then slice it twice for epic high scores! It’s been a fun and fruitful five years. Thanks for making it possible! Install apk, extract Data into 'SDCard/Android/obb' and play!